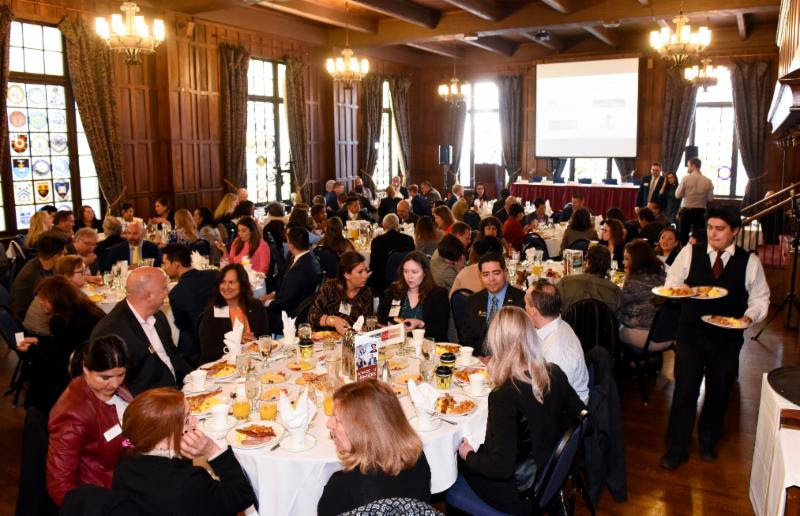 The Latina Legacy Circle 2018 inductees are six women with lifelong contributions which include: education, criminal justice, arts and culture, civil service and city government. The 2018 inductees include Anna Jo Garcia Haynes, Dr. Irene Griego, Cecilia Mascarenas, Judy Miranda, Anna Orozco Flores and Rosemary Rodriguez. Women of a circle reminds me of the term, fore mothers. 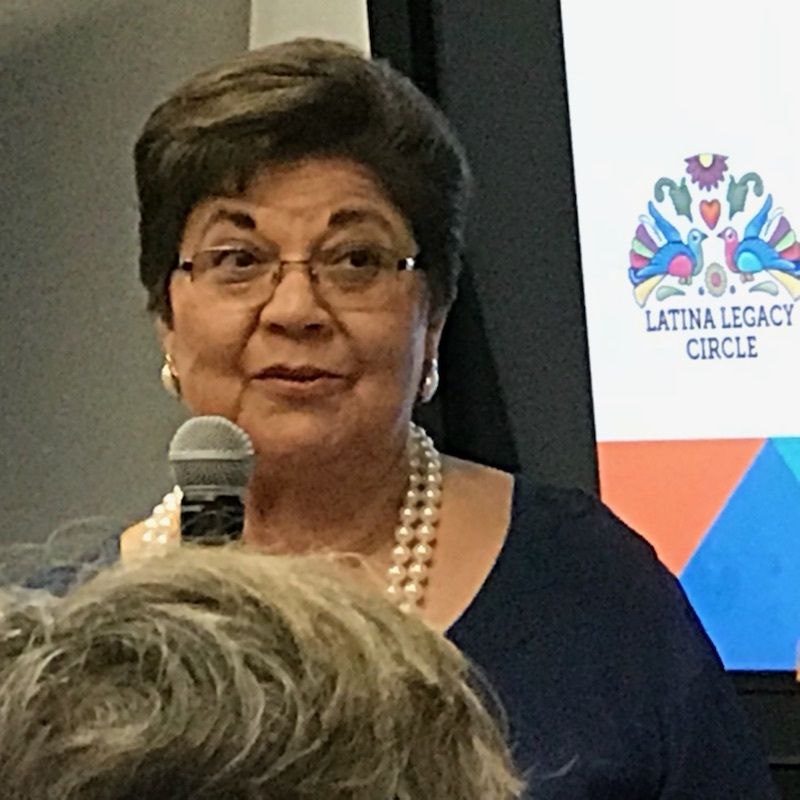 However, in this circle you had five founders, Honorable Polly Baca, Veronica Barela, Juana Bordas, Honorable Ramona Martinez, Sister Alicia Valladolid Cuarón.The Latina Legacy Circle was founded to honor the spirit of Lena L. Archuleta, an educator, community activist, librarian and founder of many early Latino organizations in Denver. Archuleta is known for her legacy of service and civic contributions. 200 people attended the induction ceremony held recently at the Denver Public Library – The Rodolfo “Corky” Gonzales branch. Scheduled to begin at 5:30pm many community members showed up as early as 5pm excited to attend. The evening started with a nice catered buffet of different Latin cuisine and homemade sangria. The ceremony started with every seated filled and standing room only in the back. Welcoming addresses were delivered by Denver Mayor Hancock, Library Branch Manager and founding members. The evening ended with a nice gathering at the GI Forum, Mile Hi Chapter with snacks, drinks and plenty of storytelling. One wonderful and high energy night to recognize and celebrate outstanding Latinas of Denver and Colorado. Anna Jo Garcia Haynes made her mark as an early childhood advocate and as founder and president emeritus of Mile High Montessori Early Childhood Learning Centers, Denver’s oldest and largest provider of subsidized quality early childhood care serving low-income children and families. Garcia Haynes has shown leadership to improve the lives of children in Colorado and was a driving force for state and city initiatives, including the Denver Preschool Program, which provides tuition credits to make high quality preschool possible for every four-year-old in Denver. Throughout her 38-year career in education, Irene Griego advocated for diversity and inclusivity as a teacher, principal, administrator and part-time faculty at University of Colorado-Denver and Metropolitan State University of Denver and as president of the Congress of Hispanic Educators. She established the Office of Diversity and Inclusion at Jefferson County Public Schools, which received the National Association for Multicultural Education (NAME). Griego was appointed by Governor John Hickenlooper as a regent of the University of Colorado system to represent the 7th Congressional District. She was elected in 2012 and re-elected to serve from 2015-2021. During her tenure, Irene served as the first Latina chair of the Board of Regents. Cecilia Mascarenas is one of the few Latinas who has served in a leadership position in the criminal justice system for the state of Colorado. She was the first Latina appointed by the governor to the Colorado State Adult Parole Board; she also served as a probation officer, unit supervisor and assistant chief probation officer at the Denver Juvenile Court for 30 years. Her most significant contribution has been helping Hispanic youth who were in volatile criminal situations and their families to have a better life. She was a trailblazer in creating a Center for Substance Abuse and Treatment for Hispanic Youth which became a national model for other states. Judy Miranda is an artist in the areas of painting, photography and Mexican folk art (Santera wood carver). She is known not only locally but also nationally and internationally for her culturally-diverse artwork, specifically focused on the Latino medium. In 1998, Miranda moved from California to Colorado and established herself as a local artist. She also became the first Latina department chair for the Community College of Denver for the Graphic Communication Technology Department. The Chicano Humanities and Arts Council has been her home gallery for the past 30 years. Her artwork has been shown in many international galleries, including the Prado Museum in Spain, Casa de las Americas in Cuba and Bellas Artes in Mexico City. Anna Orozco Flores has built a legacy with her achievements in literature, volunteerism and creating equitable employment practices for the Latino community. Orozco Flores volunteered for numerous political campaigns, including those of Betty Benavidez, Colorado’s first Hispanic legislator and fellow Latina Legacy Circle members Hon. Polly Baca and Hon. Ramona Martinez. She also recorded audio books for the Colorado Library for the Blind. She is the author of several books, including the Cielo Trilogy. In 2003, Orozco Flores was appointed to the Civil Service Commission for the City and County of Denver and remained with the Commission for 15 years. 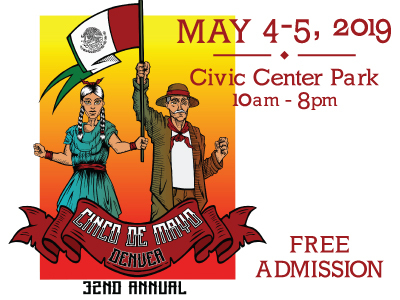 With her leadership, the number of Hispanics hired as police and firefighters has risen to reflect the Hispanic population of Denver. Rosemary Rodriguez has made significant contributions to the Latino community, including being elected to the Denver Board of Education and Denver City Council where she served as president. She is the former state director of U.S. Senator Michael Bennet’s Colorado office, has been the political director for Organizing America, was appointed by President Bush to be a commissioner on the United States Election Assistance Commission, served as the Denver Mayor’s director of Boards and Commissions, was the first Latina clerk and recorder of the City & County of Denver, has served as deputy director of the Mayor’s Office of Art, Culture and Film and was the scheduling director for the Mayor’s office. 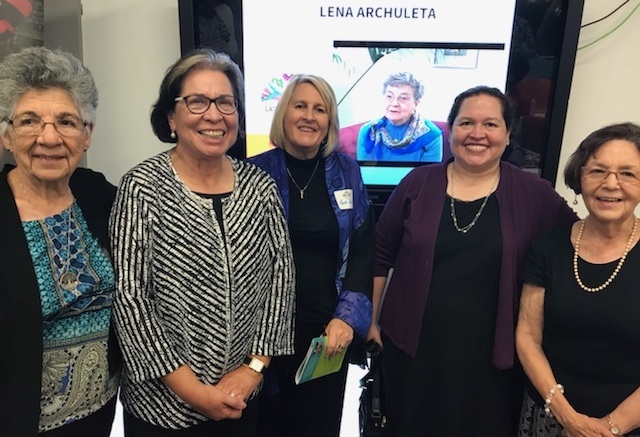 The Latina Legacy Circle was founded to honor the spirit of Lena L. Archuleta, an educator, community activist, librarian and founder of many early Latino organizations in Denver. Archuleta is known for her legacy of service and civic contributions. 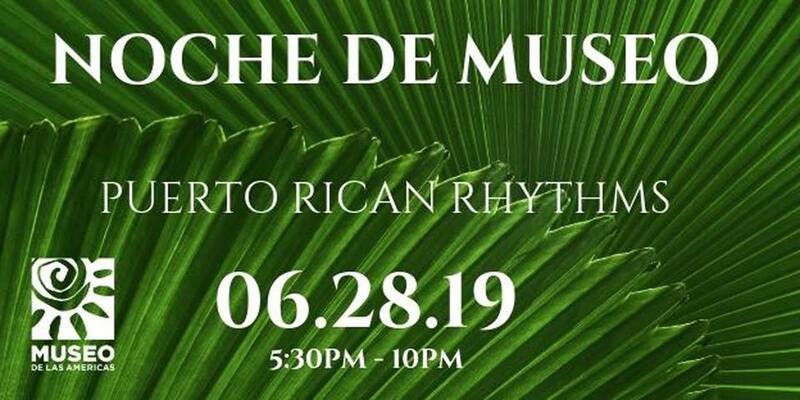 The group also raises funds to support programs and services at the Rodolfo “Corky” Gonzales Branch Library in West Denver.